Cantu products are a god send for curlies across the world. Coconut is used extensively in their products (nature’s best moisturiser) and it’s main target audience is people with curly hair. Imagine having a brand like this in India one day! 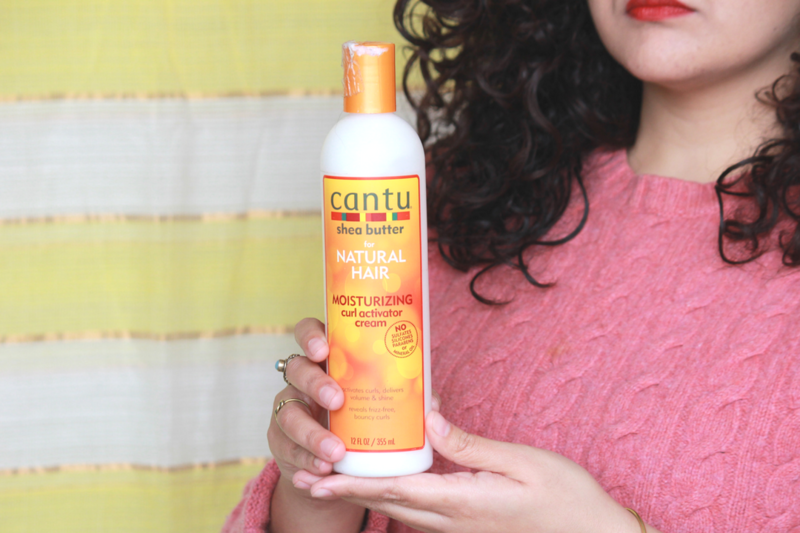 Since Cantu Curl Activator is easily available in India via online shopping, many of my readers ask if they should get this for their wavy or curly hair. And once bought, how to apply it on their hair. Hence this very detailed post! If you are an old reader, you would remember that I had done a mini review of Cantu Curl Activator in a Battle of the brands post: As I Am VS Cantu Vs Miss Jessie Leave in Condish (Now removed to write individual reviews). But I wrote that review under a wrong impression- I thought this was a leave in conditioner like the other two. The Cantu Curl Activator is actually a curl cream or in popular natural hair lingo – a curl enhancer/styler. I have since then tried this cream with different styling methods. What is the difference between a leave in conditioner & a curl enhancer, you ask? Let’s get right to the review now. Don’t forget to look out for the steps to use Cantu Curl Activator cream & my styling video where I’ve shown how you can apply them YOUR natural hair. When water is the first ingredient, you already know the product is better than most. Propanediol is a a plant-based, ECOCERT-approved emollient, solubilizer, and viscosity improving agent. Stearalkonium Chloride is a conditioning agent. Stearyl Alcohol is actually a moisturising alcohol, not a drying one, so don’t worry. It also has many moisturising oils like Coconut, Almond, Avocado, Neem Seed, Carrot Seed etc & creamy butters like Mango & Shea butter. Do note that this is also exactly what can make it too heavy for some hair types. Polyquaternium-10 will also give slight hold for your curls, which is why it is often recommended you add a gel after this cream to increase definition and non wash days. Rs.900 – Rs.1900 for 354 ml (Prices keep fluctuating on online sites) so bookmark & keep checking. Cantu Curl Activator is super creamy, however it can be slightly oily for some textures (Type 2/3A). It has fantastic slip which makes it great for detangling. Strong & coconut-y! I LOVE how it smells! The cream can be either used alone or in a product cocktail to style your hair outside the shower. Make sure your hair is wet. If it’s damp, you will get more frizz & it won’t be the fault of the product! Method 1– As the only product: On Freshly washed hair when it is still wet, section your hair & take a small amount in your palms. Smooth/Rake in in with your fingers & scrunch up palmfuls of hair. Add a gel if you want more hold. Use a T shirt to plop. Dry as preferred. Method 3 – Squish to condish with your favourite conditioner. Next, take a small amount of the cream in your hands and scrunch up until you hear this lovely squelching noise. Repeat with gel, if required. There is no combing or raking in this method once you have detangled with conditioner. This will especially work well for wavy hair or loose ringlets. 2C, 3A/B/C, 4A,B,C hair types. Like I also mentioned above, it can get heavier for 2C & 3A hair type so test the amount of cream you need to take over a few weeks. I’m not saying wavy hair textures won’t get fantastic results, because I have many readers with wavy or loose curls that LOVE cantu. Only with trial and error will you understand how much your hair needs. Do note that in the rare chance that you are sensitive to coconut in your hair products, this will not suit you. Great slip & coats the strands well so makes detangling incredibly easy. See this fun slow mo video I shot after I styled my curls using Cantu Curl Activator. You have to be careful with the amount you use. If you apply too much, your natural hair can feel weighed down. If you don’t like the smell of coconuts, you will NOT like this on your hair. Sensitive to coconut in your hair products? Then this might give you ‘straw-like’ or brittle strands. 1. Hinshara Habeeb – Totally love the product. I was recently struggling with protein overload and this non protein product totally helped my hair recover. In the following picture my hair is styled using the LCO technique – L – As I am leave in, C – Cantu curl activator, O – one drop of Righteou Roots oil. Cantu works anywhere and everywhere. 2. Holy Curl Riri– I’m a big fan of Cantu’s Curl Activator Cream. Ever since I first tried it I got addicted to it. In addition, now that is winter time it works perfectly to prevent my curls from getting dry and a frizzy mess. 3. 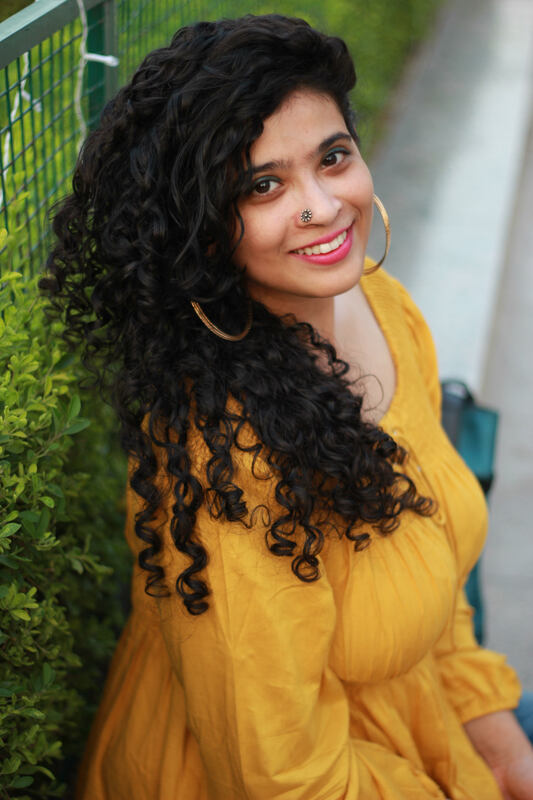 Saloni Dongre – Got the Cantu Curl Activator from Amazon just a few months back and loved it to the core. It works magically on curls !!! This is my first styling product and is absolutely what I wanted. The best part is its ingredients. Chemical free and nourishing too. Very gentle on ur curls and gives them the perfect bounce if used in right quantity. I swear by this curl activator. 4. Leyyah Doba – I rake the cream in and then scrunch my hair to give my my clumps. After that, I plop my my hair. Plopping is a must for me! The Amazon link above is an affiliate link which means if you buy the product using that link, I earn a tiny commission. This helps me keep the website running and afford new curly hair products to try out for you guys. 🙂 Also, products that might work for my hair might not work for you and vice versa! Please remember this is my personal experience of the product & your hair can behave differently. I hope this helps you decide whether you need to add the cream to your routine & how to apply it on your waves or curls. Have YOU tried this cream? Did you hate it or like it? What is the best curly products combination you have found with Cantu Curl Activator cream? Let me know in the comments below! Until next post, follow me on Instagram (@thecuriousjalebi) & Facebook (The Curious Jalebi), where I post hair videos, tips & post updates. You can also subscribe to my Youtube Channel here & watch all my ‘How-To’ videos for natural hair in India! For Curly Kids & People With Sensitive Scalp – Have You Tried Curly Ellie Shampoo? Flairosol Bottle Vs Regular Spray bottle- Which One Should You Get? I like Cantu but how do I avoid the dry, brittle feel it gives the hair? I apply it diluted on wet hair, with wet palms. I sometimes apply Set Wet Blue Gel over that. Now, is that a problem? As you know Amazon is famous for counterfeit products so yes I do want this .but how to get the real product? Get it from NaturallyYouNMe instead! She stocks it too, it’s an indian site and she sources the products directly. Use my code CURIOUS10 for a disocount! Hey.. do you apply cantu On dripping wet hair or only wet hair.. cos when I do it on dripping wet hair.. it forms foam when I squish .. and gets on to me scalp sometimes.. I apply it on wet hair! Make sure you emulsify it well in your hands before you apply on your hair.